GENEVA, Switzerland, June 11, 2018 (ENS) – The World Health Organization, WHO, intends to guide the world toward the elimination of industrially-produced trans-fatty acids from the global food supply. There are two main sources for trans fats – natural sources in the dairy products and meat of ruminants such as cows and sheep, and industrially-produced sources such as partially hydrogenated oils. Industrially-produced trans fats are in hardened vegetable fats, such as margarine and ghee, and are often present in snack food, baked foods, and fried foods. Manufacturers often use them as they have a longer shelf life than other fats. But WHO says healthier alternatives can be used that would not affect taste or cost of food. To achieve that goal, the World Health Organization last month released REPLACE, a step-by-step guide for the elimination of trans-fatty acids from food. 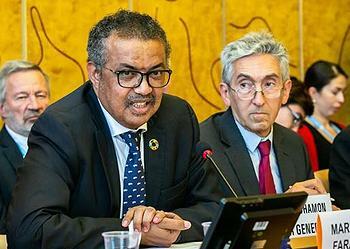 “WHO calls on governments to use the REPLACE action package to eliminate industrially-produced trans-fatty acids from the food supply,” said WHO Director-General Dr. Tedros Adhanom Ghebreyesus. “Implementing the six strategic actions in the REPLACE package will help achieve the elimination of trans fat, and represent a major victory in the global fight against cardiovascular disease,” he said. * – REview dietary sources of industrially-produced trans fats and the landscape for required policy change. * – Promote the replacement of industrially-produced trans fats with healthier fats and oils. * – Legislate or enact regulatory actions to eliminate industrially-produced trans fats. * – Assess and monitor trans fats content in the food supply and changes in trans fat consumption in the population. * – Create awareness of the negative health impact of trans fats among policy makers, producers, suppliers, and the public. * – Enforce compliance of policies and regulations. In Denmark, the first country to mandate restrictions on industrially-produced trans fats, the trans fat content of food products declined steeply and cardiovascular disease deaths declined more quickly than in comparable high-income countries. “A comprehensive approach to tobacco control allowed us to make more progress globally over the last decade than almost anyone thought possible – now, a similar approach to trans fat can help us make that kind of progress against cardiovascular disease, another of the world’s leading causes of preventable death,” Bloomberg said. Elimination of industrially-produced trans fats from the global food supply has been identified as one of the priority targets of WHO’s strategic plan, the draft 13th General Programme of Work (GPW13) which will guide the work of WHO in the five years 2019 through 2023.
WHO recommends that the total trans fat intake be limited to less than one percent of total energy intake, which translates to less than 2.2 grams per day with a 2,000-calorie diet. Trans fats increases levels of LDL-cholesterol, a well-accepted biomarker for cardiovascular disease risk, and decreases levels of HDL-cholesterol, which carry away cholesterol from arteries and transport it to the liver, that secretes it into the bile. 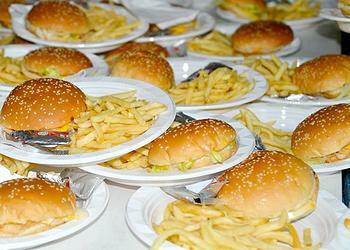 Diets high in trans fat increase heart disease risk by 21 percent and deaths by 28 percent. Replacing trans fats with unsaturated fatty acids decreases the risk of heart disease, in part, by ameliorating the negative effects of trans fats on blood lipids. 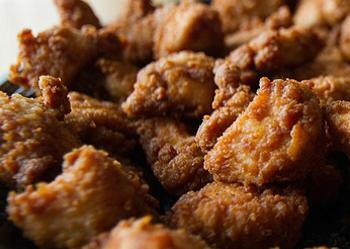 To ensure that the benefits of this new policy are felt equally around the world, WHO says action is needed in low-income and middle-income countries, where control of the use of industrially-produced trans fats can be weak. As part of the United Nations Sustainable Development Goals, the global community has committed to reducing premature death from noncommunicable diseases by one-third by 2030. Global elimination of industrially-produced trans fats can help achieve this goal.